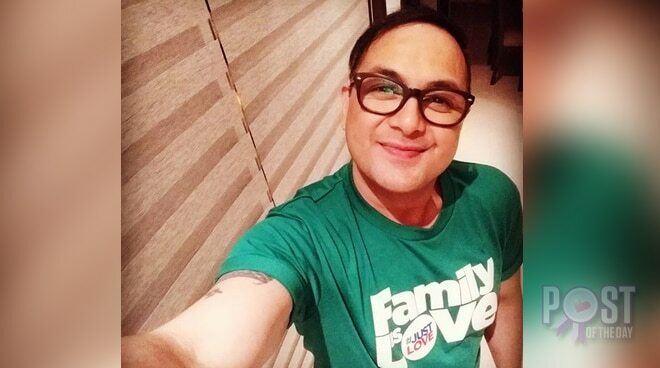 The actor-comedian is proud to be Kapamilya! Somewhere in the estimated number of 400 celebrities who appeared in the ABS-CBN Christmas Station ID shoot was Keempee de Leon who is once again a proud Kapamilya. The actor-comedian was snapped last Sunday together with fellow stars Cristine Reyes, RK Bagatsing, Matet de Leon, Enzo Pineda, and child actress Sophie Reola, among others – the same cast that would comprise the upcoming television series Nang Ngumiti Ang Langit. The show will be directed by FM Reyes under the production of RSB Drama Unit. Keempee’s return in ABS-CBN came as a shock to many, following his stint as a Kapuso for the past 16 years. Meanwhile, Keempee’s last appearance as a Kapamilya was in the comedy gag show Klasmeyts back in 2002.